The whole universe seems to have come down with a case of soccer fever this summer—and rightfully so. However, believe it or not, the rest of the sports world doesn’t stop spinning just because it’s a World Cup year. In fact, the month of July is a pleasant reminder that soon the soccer madness will end and life will go back to being normal. You see, some of our favorite performance brands are rolling out new footwear options this month, reminding us that soccer will soon be in the rear view and sports like basketball and running will be back in the limelight. Flip through the following list to find out which athletic sneakers we’re looking forward to most in July 2014. Nike has decided to re-up on LeBron James&apos; other shoe line as well this year. The Zoom Solider 8 stays true to its roots of being a highly supportive yet agile basketball shoe, yet comes with a series of upgrades to improve performance even further. For example, Nike has added Flywire to the shoe for additional support, along with an open air mesh upper that could make the Zoom Soldier 8 one of the most breathable basketball shoes on the market. 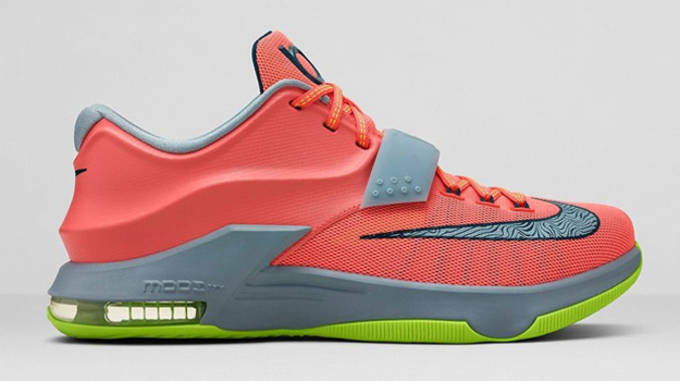 The "Sprite" colorway seen above is just one of many versions expected to hit the market this summer. 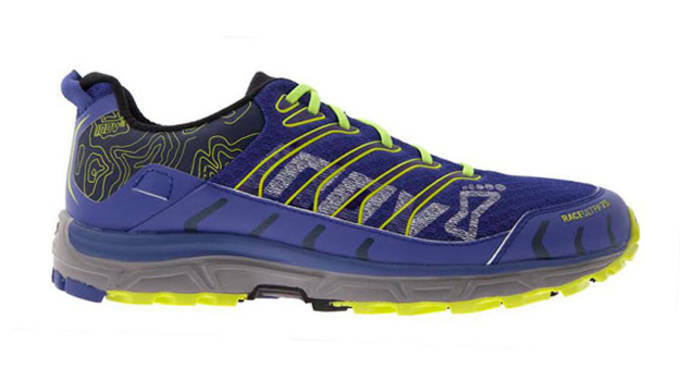 Specialty footwear brand Inov-8 is set to release its first-ever ultra distance off-road shoe this month. Unfortunately, however, it will only be available in the UK for the time being. Still, the shoe is heavy on the performance, thus earning itself a spot on this list. Over a decade after its original release, adidas will reintroduce the Crazy 2 basketball shoe in July 2014. With all the tech advancements that have hit the performance footwear industry in recent years, you would think the Crazy 2 is outdated and unable to live up to today’s hoops standards. However, that couldn’t be further from the truth. 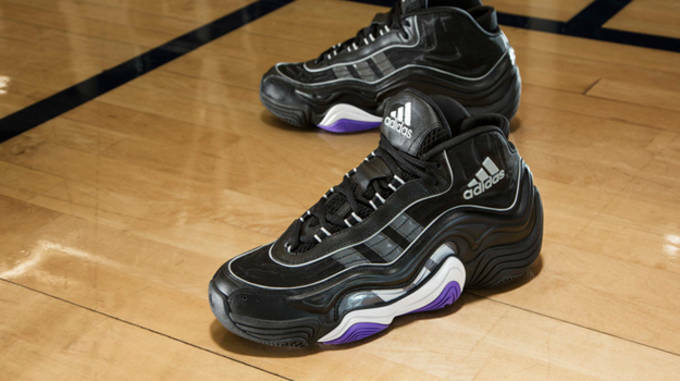 This shoe can still get it done on the hardwood. Mike Trout is arguably the best baseball player in the game right now, so it should come as no surprise that the star outfielder will be the recipient of his very own signature cleat from Nike. 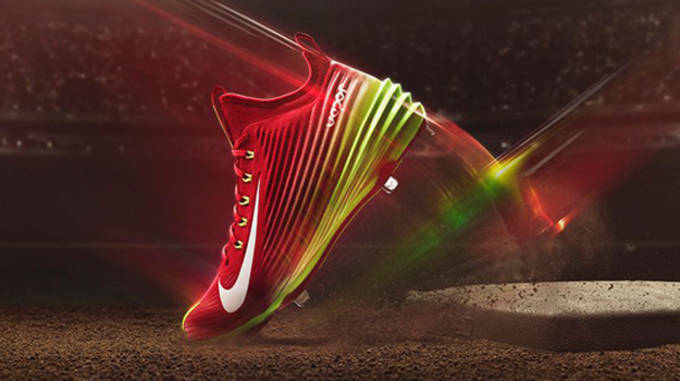 Much like Trout himself, the Lunar Vapor Trout cleat is designed for maximum speed and power on the field. It doesn’t look half bad either. 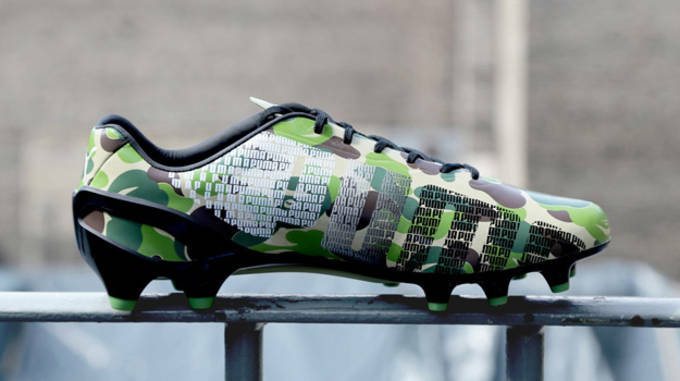 With the entire world dialed in on the ongoing World Cup, Puma has teamed up with some of the biggest names in streetwear to give its EvoSPEED soccer cleat a filthy makeover. While Alife, Colette and Kith all have some impressive takes on the boot, it’s Bape’s camo silhouette that has us giddy with soccer fever. Just the second member of Newton Running’s growing off-road footwear line, the BoCo Sol is built on a similar platform to the BoCo AT. The main difference between the two is that the upper on the Sol is configured especially for summer running. 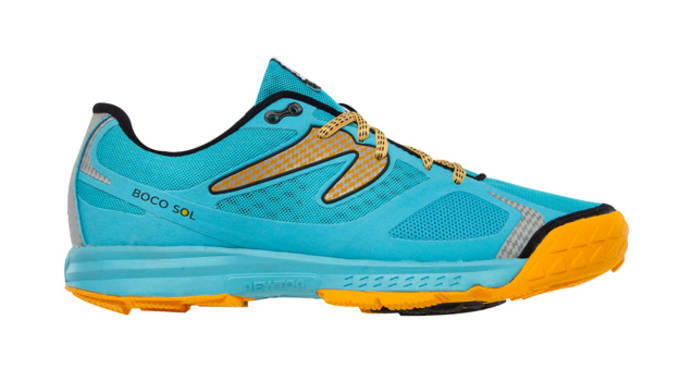 It’s still early, but the BoCo Sol has the potential to be one of the best trail runners of the year. One of the best shoes in Nike’s running arsenal will get a refresher this month, as the Swoosh prepares to drop the LunarGlide 6. The latest edition of the shoe will feature a lighter version of Lunarlon foam, along with an all-new upper and outsole design. 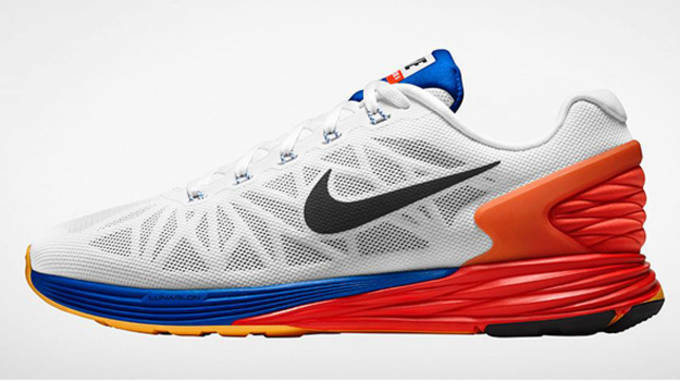 Look for the LunarGlide 6 to also feature enhanced Dynamic Support stability. 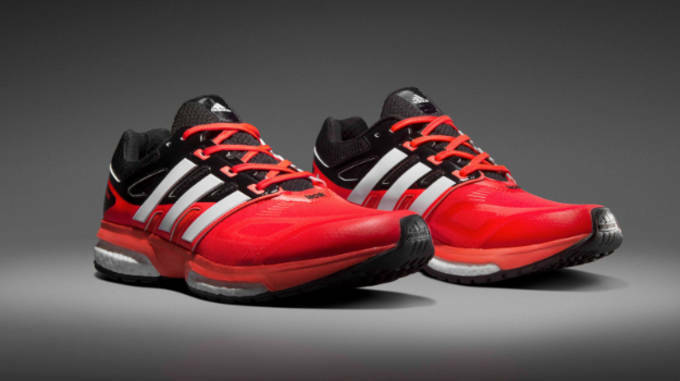 adidas continues to implement its high energy rebound Boost midsole across its running footwear collection. The latest model to get the Boost treatment is the adidas Response. Built for long distance running, the Response stays true to its support and stability lineage, but also features key updates like a Techfit upper for a seamless, second-skin fit. 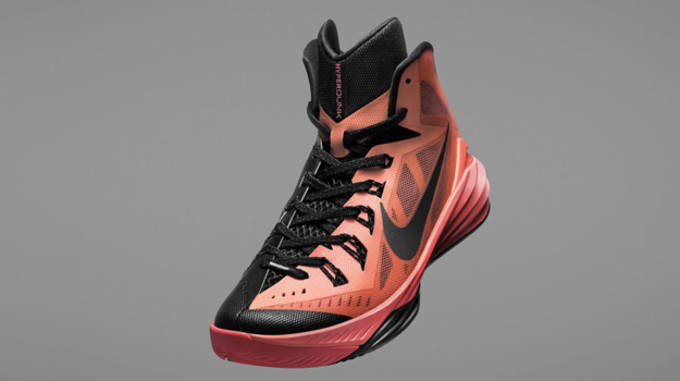 The most-worn shoe in the NBA is back and better than ever, as Nike unveils the Hyperdunk 2014 later this month. 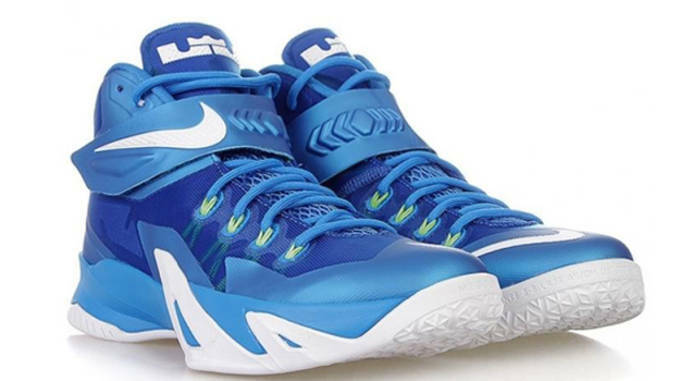 Featuring the latest in both performance and aesthetics, the Hyperdunk 2014 is expected to be a popular shoe amongst both amateur and pro ballers next season. In honor of Kevin Durant finally being named MVP of the league, Nike has decided to up the ante on KD’s signature shoe line. 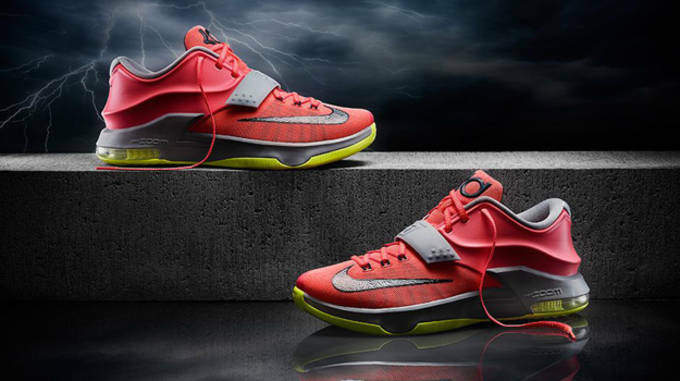 Following 18 long months of collaborative efforts between Durant and lead Nike designer Leo Change, the KD7 features a bevy of noticeable differences compared to previous shoes in the line. The shoe has received a head-to-toe transformation that includes a sleeker midfoot strap and the addition of Hyperposite technology for the first time in a KD model.